Hope you are all doing well? So! a few days ago I hinted at an exciting post on social media and I'm excited to share it with you today. I've been wanting to run a giveaway for quite a while, but thought about holding off until I reached 15k on Twitter which is my next milestone. However, I decided that now was the time I wanted to do a giveaway, so why the hell not?! The prize I have chosen is something that I've genuinely become inseparable from myself. 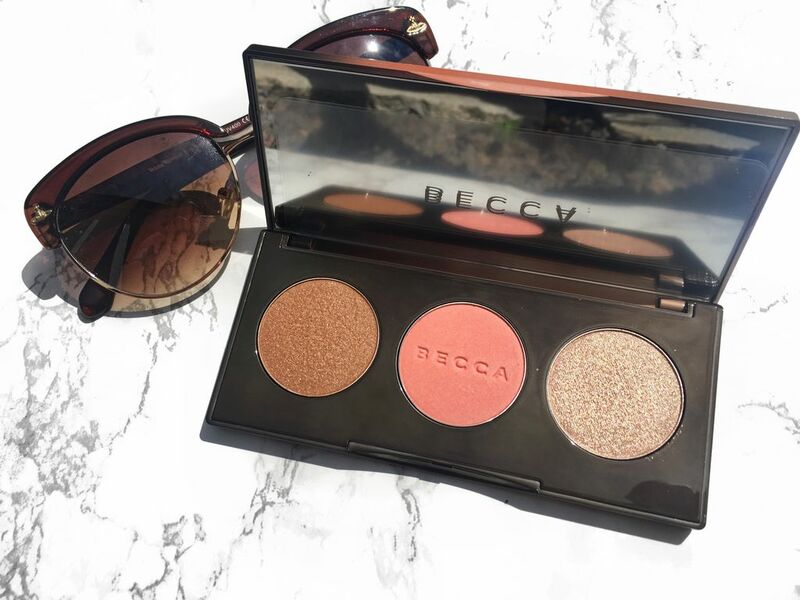 The Becca Sunchaser Palette is one of the hottest limited edition beauty products on sale this summer and also has a five star rating on Cult Beauty. There are three absolutely stunning shades, which are all so creamy, pigmented and just beautiful. I purchased mine with my holiday to Dubai in mind, as I love to utilise multi-use products when going away, but of course I couldn't wait until September to start using this stunning palette. Don't just take my word for how gorgeous this palette is! Visit CultBeauty & BECCA Cosmetics to find out more details, tips and stylist recommendations. Please note this has not been gifted for the purpose of this giveaway. I have paid full price for this giveaway item from Cult Beauty.